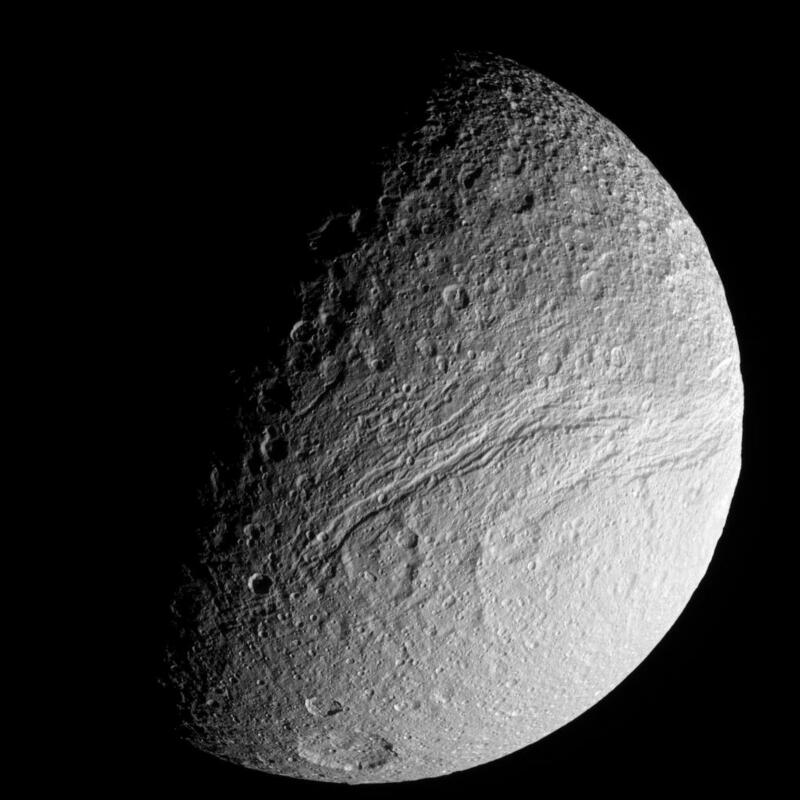 Explanation: What created the Great Rift on Saturn's moon Tethys? No one is sure. More formally named Ithaca Chasma, the long canyon running across the right of the above image extends about 2,000 kilometers long and spreads as much as 100 kilometers wide. The above image was captured by the Saturn-orbiting robotic Cassini spacecraft as it zoomed by the icy moon last month. Hypotheses for the formation of Ithaca Chasma include cracking of Tethy's outer crust as the moon cooled long ago, and that somehow the rift is related to the huge Great Basin impact crater named Odysseus, visible elsewhere on the unusual moon. Cassini has now been orbiting Saturn for about four years and is scheduled to continue to probe and photograph Saturn for at least two more years.